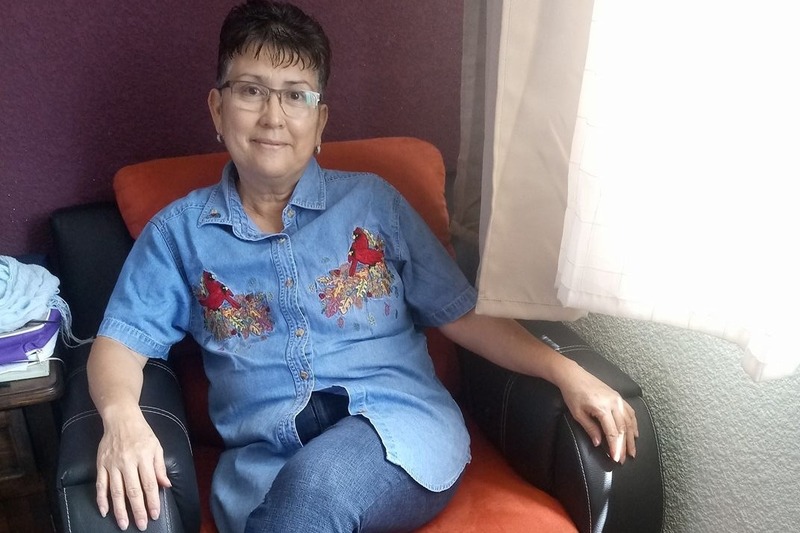 Paty Mendizabal is a hardworking woman who makes beautiful decorative cakes as a living. 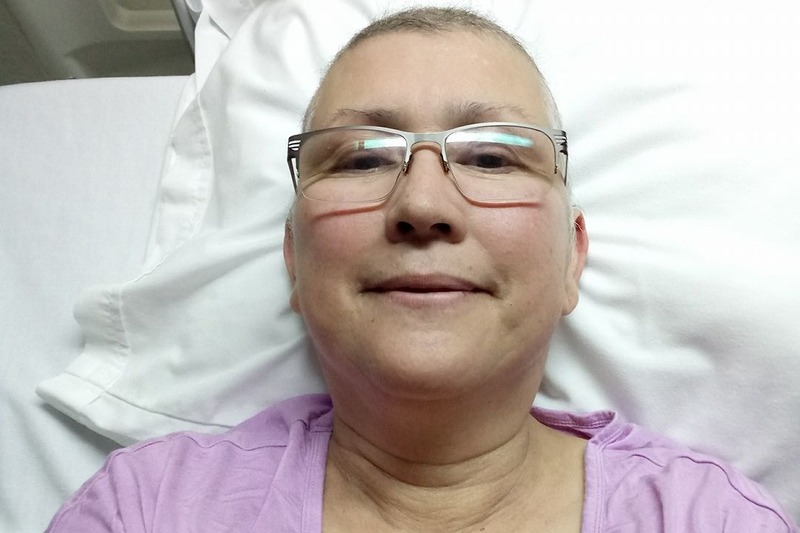 She underwent a mastectomy and is still needing chemotherapy & radiation treatments. We are organizing a concert fundraiser at TGI Fridays in Simi Valley to help fund this expensive medical treatment. It will be Wednesday July 11th, 2018. Amazing live music provided by Ron Carmona will be on from 6:30 to 9:30 pm. If you are not able to attend, please consider donating to this page or going in to eat at any time that day. With the flyer attached in the event Facebook page, 20% of all sales from 11 am-12 am will go towards this cause. 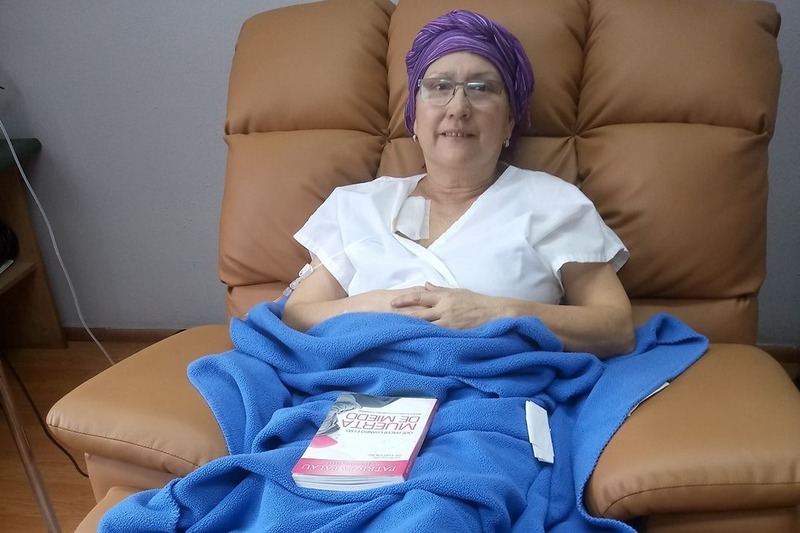 Please attend to support Paty Mendizabal's treatment and to commemorate all people battling breast cancer. Many brave people have battled this disease just as Paty is doing now. She is loved very much by her family and we greatly appreciate your support and prayers. 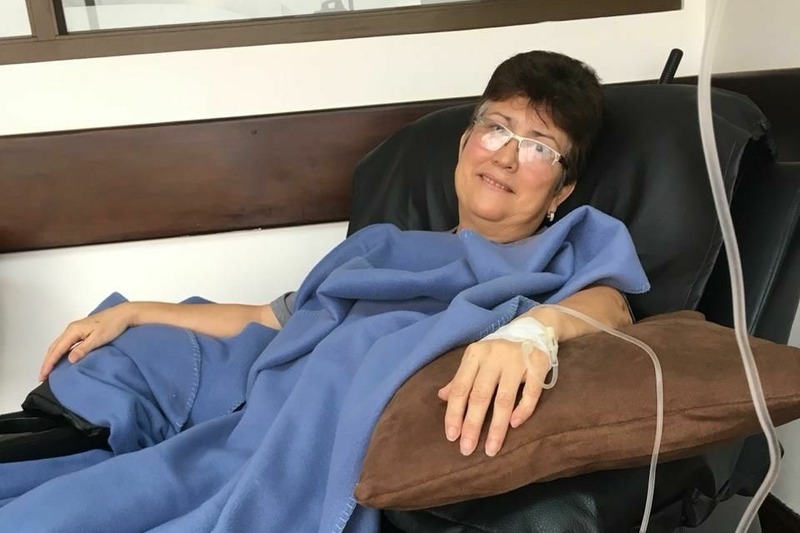 We want to share with you some pictures of Paty, to show that she´s winning this fight alongside her family, friends and specially, God! Thanks again for your help and all your prayers. Thank you all for your donations, we couldn´t be more grateful! But, the battle for Paty is not done yet, and because of this, we need your help one more time. 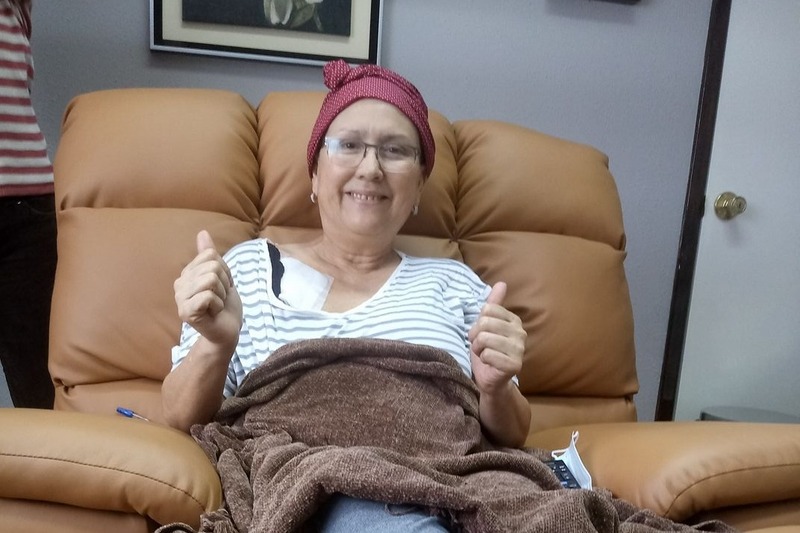 In the following months, Paty will need a mastectomy for her left breast and a PetScan, all of this so she can continue with the 9 chemotherapies she has left. The cost of this medical treatments is around $12,000 - $15,000. God bless you all! Thank you so much to everyone who donated and showed support. It is so amazing to see the goodness in everyone's hearts. We have exceeded our goal between the concert/restaurant participation, the raffle fundraiser, and this donation page. God is so good, we are not alone in our trials and we want to express our gratitude to all of you! Gracias Dios por tu amor y misericordia por amarme a pesar de mis errores porque me cuidas en cada momento y me abrazas con tu amor .Aca estoy en mi segunda quimio . no tengo palabras para agradecer a toda mi familia ,amigos y personas que no conozco pero que de corazon y fe en nosotros han aportado para mis quimios para que pueda seguir adelante .gracias por esas oraciones que son mi fortaleza pero principalmente por ese amor incondicional. Que Dios los bendiga y les multiplique. Se que tomada de la mano de Jesus saldre adelante en esta batalla con mi fe en El y ustedes la hacen mas facil. Los a m o.
English: Thank you God for your love and mercy for loving me despite my mistakes because you take care of me at every moment and you embrace me with your love. Right now I am in my second chemo. 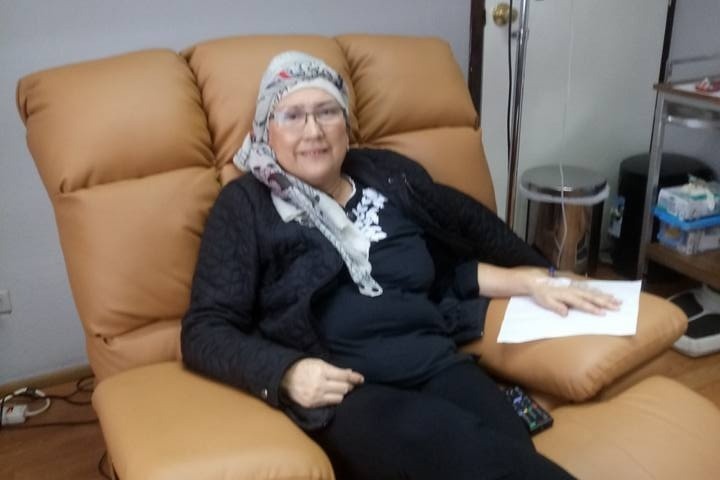 I have no words to thank all my family, friends and people that I do not know but that of heart and faith in us have contributed to my chemo so that I can move forward. Thank you for those prayers that are my strength but mainly for that unconditional love. May God bless you and multiply you. I know that taken from the hand of Jesus will go forward in this battle with my faith in Him and you make it easier. I love them.